A NUMBER of dead cats have been spotted on the A590 between Swarthmoor and Rusland Pool. 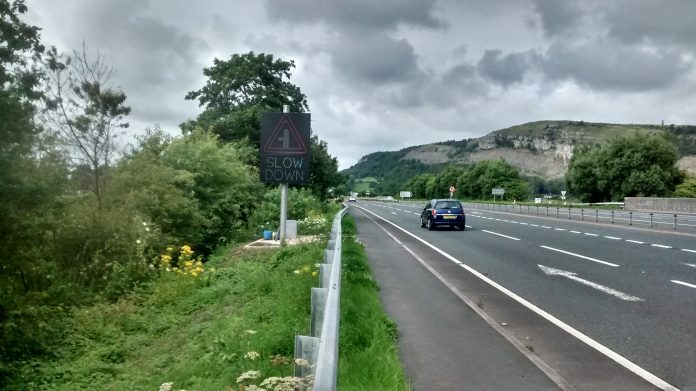 This week motorists have reported seeing at least five dead cats on the unlit, 60mph stretch of the A590 between Rusland Pool and Ulverston. Another has been spotted close to Swarthmoor. As there are few stopping places on the busy road, and given the higher speeds and lack of street lighting, it would be difficult for a motorist to pull over even if they had been aware of the collision. You could be fined as much as £5,000 if you hit a dog with your car and fail to report it to police, but there is no penalty for failing to report a collision with a cat. ore than four million cats – about two in every five – are not microchipped, according to vets charity PDSA, which tells cat owners that getting their animals chipped is the “responsible thing to do”. The charity says the UK should “introduce compulsory microchipping of owned cats”, following the examples of Spain and Belgium where it is already a legal requirement. Government advice states you can report any dead animals you find on the road to the local council.